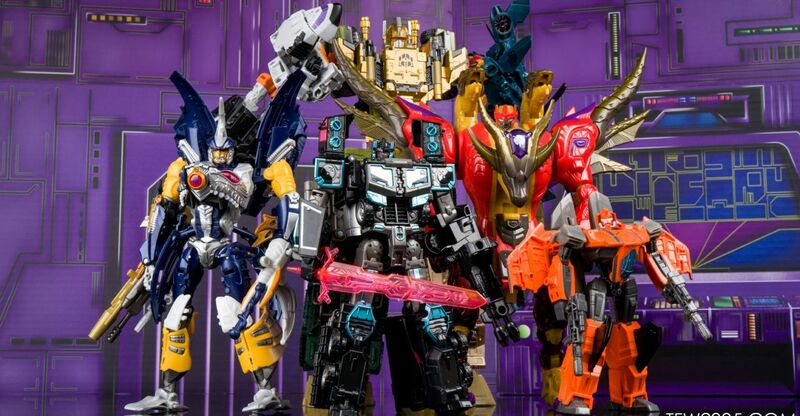 Before we plunge into the Power of the Primes, we’re taking a look at the last of the Titan Masters released for the line. Charging into battle, here comes Ramhorn! Ramhorn is the sole new figure from Titans Return Titan Masters Wave 5. He’s a remold of Shuffler that closely homages Generation 1 Ramhorn, with the head and part of the body retooled to finish the look, as well as a new faceplate on the Titan Master. This means that the figure at its core is every bit as good as Shuffler. The rhino mode is nice and solid, and has a more powerful build than the original Ramhorn which looks quite nice. Tank mode is similar to Shuffler, with the exception that where Shuffler had his snout double as a turret, Ramhorn has the rhino head open into what I think is meant to be a battering ram, and I feel it doesn’t work as well overall. The weapon mode is the same solid missile pod design that Shuffler used, while the Titan Master in head mode utilises an unused 1987 Headmaster Warrior concept which was based on a rhino. That’s a nice touch, and the head design itself is a very good look – more the pity that there aren’t too many bodies it could go on and look like a natural fit, really. 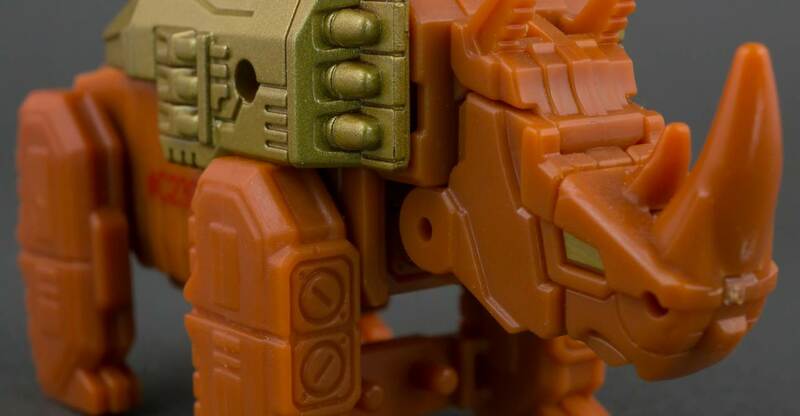 Read on for a few pics of this toy – or check out the gallery for the full 75+ images of this fun rhinobot. Time for another SDCC 2017 in hand gallery! Tonight we have the Primitive Skateboarding Optimus Prime and Shreddicus Maximus, based on the Titans Return Powermaster Optimus Prime mold. 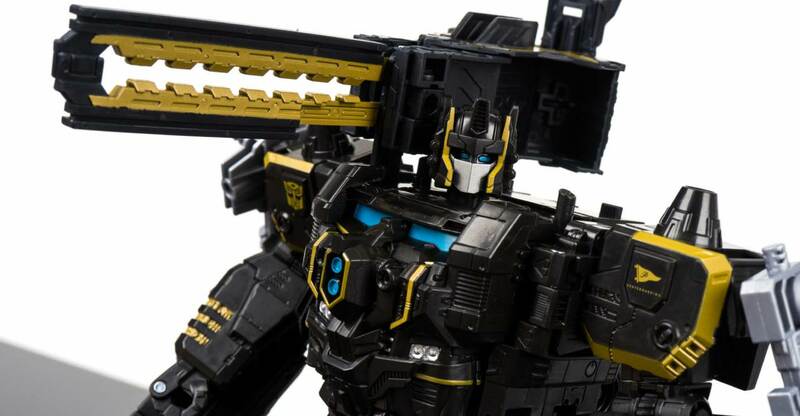 The toy features a black and gold color scheme and comes with additional Titan Master accessory that turns from skateboard ramp into a cannon! All in all it’s a sharp, fun set that makes no sense other than it’s just plain cool! You can see for yourself over in our gallery, we have over 90 HD images of Prime hanging with Shreddicus pulling Primo Grinds, Null Ray Rays and Ollie Ollie Maximi! Our next Transformers gallery update is a toy who topped many favorite of 2016 lists. It’s the one and only, Triggerhappy! Triggerhappy deserves his fame for good reason. First, he’s an excellent likeness of the original toy, right down to the arm transformation and the double-barreled lasers that make him look like something out of a 1980s shoot-em-up arcade game. Second, he has a clever transformation – dare we saw, the cleverest in the line until Topspin came along? Third, the robot mode looks every bit as excellent as the spaceship mode, with the added bonus of a full range of poseability. The great thing is, the robot mode is remarkably clean with a minimum of leftover vehicle parts, and there is little to get in the way of the poseability. Triggerhappy is very much one of the best examples of what Hasbro is capable of doing with the Transformers in the current day. Check out his gallery to see why we’re being so positive about him. 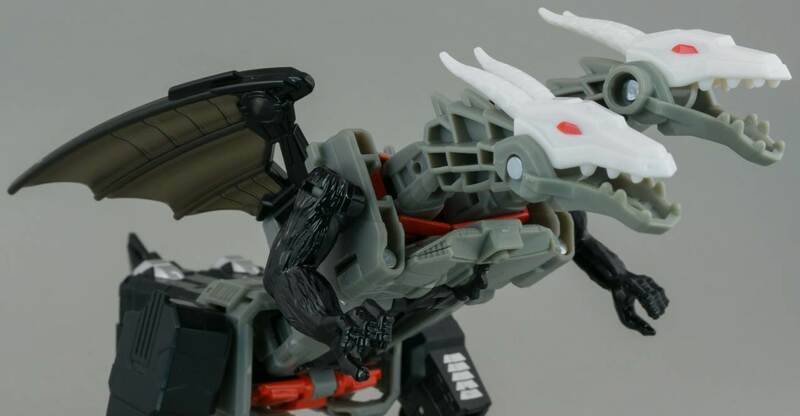 Doublecross, or as he is known of late, Twinferno, has been getting a bit of buzz with the announcement of his impending Japanese release in the Transformers Legends line, so here is a photoshoot of the double-dragonbot! Twinferno is a leftfield choice for the Titans Return line, but we’re not complaining. Both robot and dragon modes are very cool updates of the original’s design, which benefit from the increased molded detail a modern Transformer offers while staying faithful to the look of the original. He’s by no means perfect – there are problems with getting the dragon mode legs to lock in, the robot mode arms could really have done with a wrist swivel, and the 5mm ports for the guns on the “hands” are way too tight and stressed when putting the guns in. But in spite of these flaws, Twinstrike comes out with a cool look, solid poseability, and a nice choice outside of the obvious candidates for the line. Shoutout also goes to the inclusion of the Battle Beast White Lion for the Headmaster figure – a nice nod to Doublecross’ appearance in the Japanese Headmasters series. Ahoy, mateys! 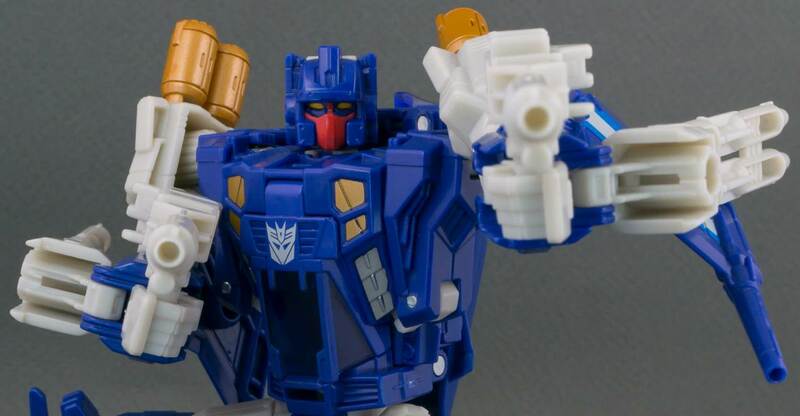 We’ve got a new gallery to share with you, and this time we’re spotlighting the newest updated Minibot to hit US retail, Titans Return Seaspray. Seaspray is a cool looking bot. Immediately you’ll spot his huge feet, which are turned sideways to fit him in his packaging. His whole robot mode accurately captures the chubby bulk that Seaspray was known for, nailing the look of the original character in a way that is faithful to the original. The transformation and vehicle forms are equally faithful with a little modern flair, and special note should be made of the weapon, which can attach to both hovercraft and robot mode to supplement the look of Seaspray. Overall, while the proportions may limit some of the posing options, Seaspray is a cute and chubby little Autobot. Check out his gallery, then start hitting up stores to add him to your collection. For our next photoshoot, we’re showcasing another member of the Titans Return series, and this time it’s the master escape artist, Getaway Breakaway! Breakaway is a moderately disappointing release, let us get that out of the way first. He’s a redeco of Chromedome with a new head, and the large amounts of unbroken white mean some parts of the design, like the arms, seem a tad bland. However, the new head sculpt is well done and the way that the deco is set out means the overall look does resemble the original Breakaway. Plus, the base mold is excellent in terms of poseability, you will not have a problem finding a pose that this one looks good in. He also goes particularly well with Titan Master Overboard, if you have him – but that is a photoshoot for another day. 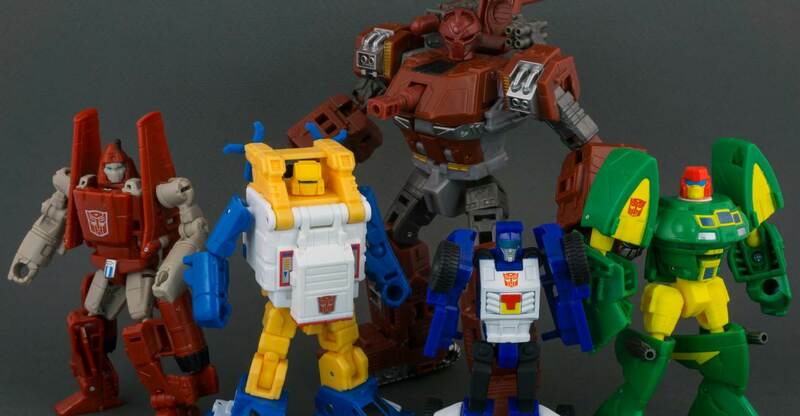 Overall, not the best that has been released for Titans Return – in fact, he’s the weakest of the first three assortments – but he is not completely without merit. Check out his photoshoot and judge for yourself. If you’re gonna ride, ride in style! Sol Fury is back and bringing you a new photoshoot! 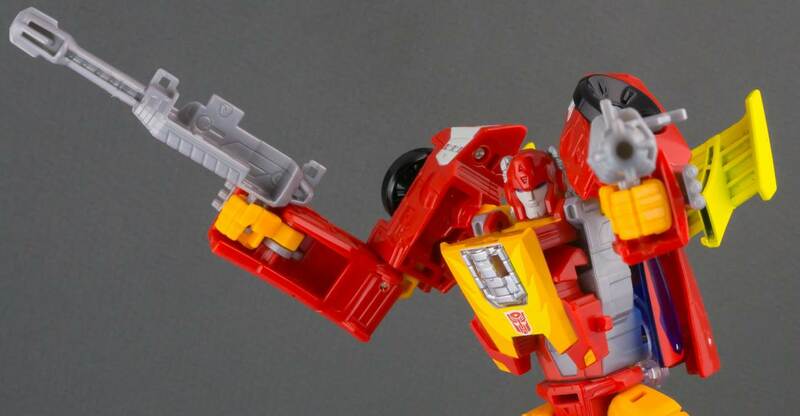 Today I’m sharing with you a gallery of Titans Return Hot Rod. Hot Rod is a personal favorite character of mine, so I was in for this release as soon as it was announced. He’s a faithful update of the original Hot Rod and much closer to that original than the previous Classics version. Compared to other Titans Deluxes like Mindwipe or Triggerhappy he’s not so creative or detailed, he’s a solid take on the character and a fun toy to fiddle with. Check out our gallery to decide what you think. We’re rounding out our photoshoots of Titans Return Legends Wave 3 with a gallery of the Autobot ranked no.2 on the list of “best known Autobots”, Bumblebee! Friend is another word for fool. We’re back with another photoshoot from the Titans Return line, and this time we’re throwing the spotlight on Kickback, the third of the Insecticons to get the Legends class treatment in the Generations line and finally completing a set of Classics style Insecticons! Kickback is a nifty little toy, who is equal parts update and reinterpretation of the original. He’s got excellent articulation, and his insect mode also looks quite sharp. I personally found that the shoulders were a bit weak, and did not lock in very well, but I was soon able to overlook this and from there it was a fun experience. Moreover, he looks great with the other two Generations Insecticons and the three together make a nice set – it has been worth the wait for Hasbro to give us all three. Check out the gallery to see for yourself!